The Specialist Skin Clinic provides a variety of medical, aesthetic and laser treatments for a diverse range of skin conditions. The clinic is run by a team of doctors and nurses all working in the field of dermatology, ensuring your safety and providing the very best in care for your skin. The skin clinic has significant experience in treating problems in patients with pigmented skin. 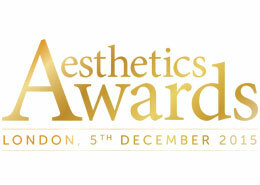 In December 2014 and now again in 2015, the clinic won the “Best Clinic in Wales” award at the industry leading Aesthetic Awards. Laser treatment or IPL (Intense Pulsed Light) Treatment? Which is the preferred Option? Skin treatments – Who would you let loose on your skin? Receive a free skin analysis at the Specialist Skin Clinic and check out how healthy your skin really is. Read all the latest articles on our Blog and don’t forget to look us up on Facebook, Twitter and Linked In.